Since my last two articles on wheat basis calculations I have had some interesting conversations with producers and industry people alike. One call in particular from a gentleman who works in the grain industry in Eastern Canada was very enlightening. Apparently my article was forwarded to him by one of his co-workers at a facility in Western Canada who found it of interest. At least I know there are a few of you out there who read my articles! He called to let me know that the way they do their pricing for grains in Eastern Ontario is to quote everything in U.S. dollars. The reason for this is that the majority of grain bought and sold is either into the U.S. or ends up going to the U.S. after it has been milled in Ontario. All hedging transactions are done on the U.S. markets, so it makes sense to post U.S. pricing. It’s transparent and easy for producers to follow and understand. Seeing as grains in Eastern Canada trade off of the various U.S. grain exchanges it is just a natural to post the U.S. futures values. As for the basis, they quote it in U.S. dollars as well, so that the calculation to a net sale price is very easy and simple to understand. Then they post the daily currency conversion rate for the Canadian dollar. From there it is very simple math for a producer to figure out what they will be getting for their grain in Canadian dollars at the end of the day. When he first said this all I could think was that this concept is way too easy and uncomplicated and it would work great out here in the west as well, if someone would dare implement such a pricing model. Out here in the west the majority of our wheat is shipped for export via the west coast but there has always been a significant volume of wheat going south into the U.S. every year as well. With the changes to the marketing environment in Western Canada the ability to ship grains to the U.S. is far less restrictive, which should mean that more grain will flow south to our biggest customer, the U.S. Regardless of whether the wheat is going for export via the coast or into the U.S., the more important fact is that our wheat prices are all based on the U.S. wheat futures contracts just like they are down east — there is no reason the grain companies in the west couldn’t start using this pricing model for wheat. If they did, it would make it a whole lot easier for producers to follow and understand what is happening in the markets, and it would not put grain companies at any currency fluctuation risk whatsoever. If we used a U.S. dollar pricing model for wheat in Western Canada, you as a producer would be able to easily compare prices between the various grain companies here and/or in the U.S. It would provide you with a true daily price competitive model, with all companies in the market quoting their prices in the same currency. As I mentioned in my last article there are variations in freight costs to get grain to port between U.S. and Canadian facilities, so you will have some variability in pricing because of those cost differences. But other than those differences the basis levels and net prices offered at facilities in Canadian or the U.S. should be competitive. The simpler and more transparent the pricing model is, the better it will be for everyone involved. The current pricing model used for wheat — with currency conversion and risk being blended into the basis — is confusing and leaves farmers somewhat distrustful of the whole process and the companies they are dealing with. The grain companies’ intentions may not have been to confuse anyone or to try to hide anything, but that is what it looks like, and that is causing concern for many producers that I have talked to. 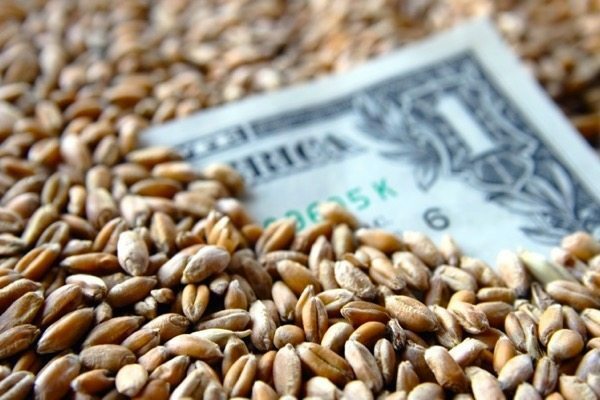 Currency conversion does not need to be included in the basis for any reason other than it makes it easier for grain companies to help manage their risk. But by adding this complication, it looks like they are withholding information. Moving to a U.S. pricing model would bring all aspects of currency conversion out in the open for all to see, thus eliminating the concern that information is being withheld. This would result in a better working relationship between the grain companies and their supply customers. Let’s get some clarity into the wheat pricing model in Western Canada so that producers can see, understand and compare the prices they are being offered. They will be able to make better marketing decisions knowing they have all the relevant information, and not feel like information is being withheld or hidden. If there is a way to do things that would help build better relationships between grain companies and farmers, let’s look at it and make it happen.